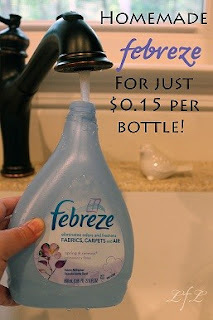 Febreze smells too strong to me - I don't like scented products at all. But I thought I would share this idea for those that love them! Combine all in bottle, shake well and use! ANOTHER THOUGHT: I don't know if it would work as well, but you could use unscented liquid fabric softeners. I think that Downy, Bounce and Target have unscented fabric softeners? I should try it with the unscented Nature Clean fabric softener - we have used Nature Clean organic cleaners for years! Check out these natural air fresheners on Amazon! Spray on, scrub, wipe off. Will you try it? Let us know how it works! 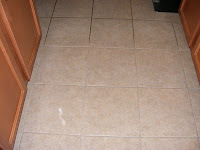 Check out Amazon for more grout cleaner options!